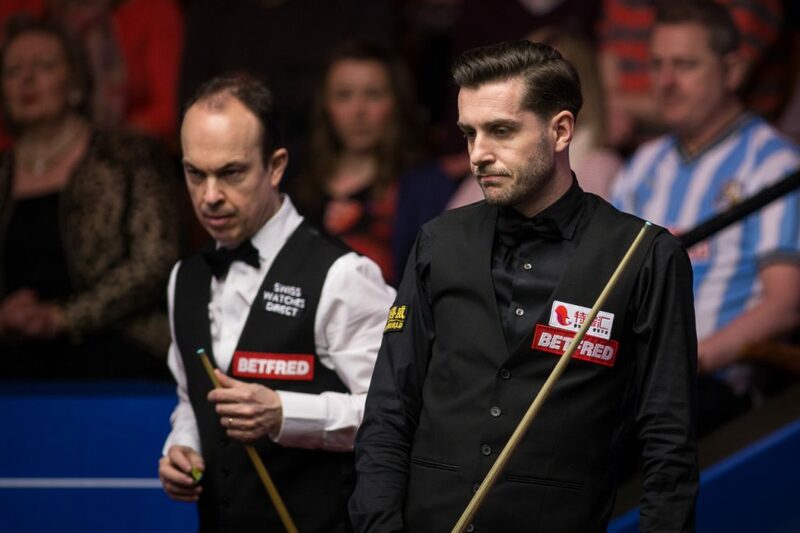 Defending Champion Mark Selby brushed aside Fergal O’Brien in a 10-2 win to progress to the second round of the Betfred World Championship. Selby has arrived in Sheffield off the back of one of his best ever seasons, having won four ranking titles in a single campaign for the first time. He’s lifted silverware at the Paul Hunter Classic, International Championship, UK Championship and China Open. The damage today was done in an opening session which the world number one dominated, establishing an 8-1 advantage. O’Brien looked jaded and that could be attributed to a record breaking final frame decider with David Gilbert in qualifying on Wednesday. They played out the longest ever professional frame, taking two hours and three minutes. There was no let up from the World Champion as the evening session got underway. He took the first frame with a fine contribution of 92. Irishman O’Brien won a tight 11th to extend the match, but his resistance was soon ended. O’Brien looked in position to make it 9-3, but jawed a tough pot on the final black. Selby duly deposited the black to a baulk corner to clinch the tie. O’Brien admitted that his exertions in qualifying may have played a factor this evening, but remained upbeat about his Crucible return. “After the efforts of getting here there probably wasn’t a lot left in the tank,” said the 1999 British Open winner. “That night between the excitement of winning I only slept three hours on Wednesday and was up early Thursday. 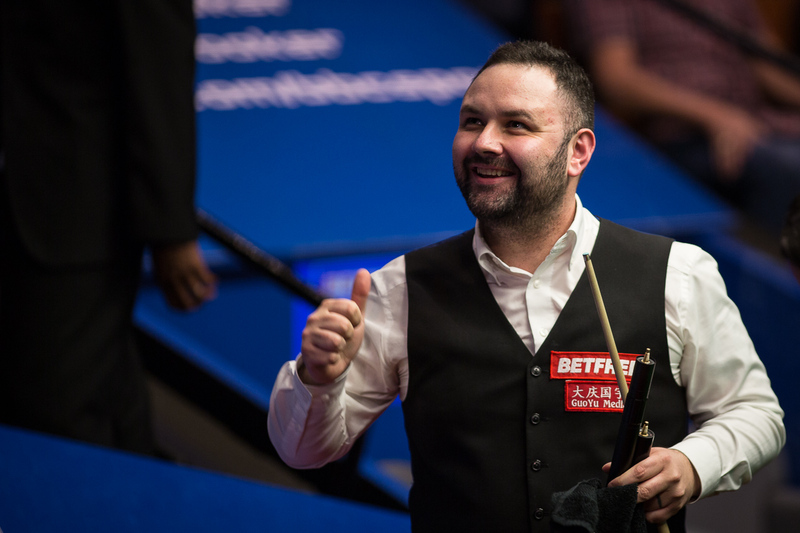 Stephen Maguire scored an equally emphatic victory, winning a Scottish derby against Anthony McGill 10-2. Maguire had lost in the first round at the Crucible in each of the last four years but this time he marched into the last 16 to face Judd Trump or Rory McLeod. These two met in the opening round in 2015 when McGill came through the qualifying rounds and beat his older opponent. This time the roles were reversed, with McGill the seed and Maguire winning three matches at Ponds Forge last week. And five-time ranking event winner Maguire proved by far the stronger player today. The 36-year-old led 7-2 after the first session, scoring 419 points without reply as he reeled off five frames in a row from 2-2. He extended that run to 447 points tonight before McGill finally potted a ball. But Maguire took that frame and then added the next with a break of 57 for 9-2. A run of 58 put him in charge of the next and he sealed the result by potting the final blue. 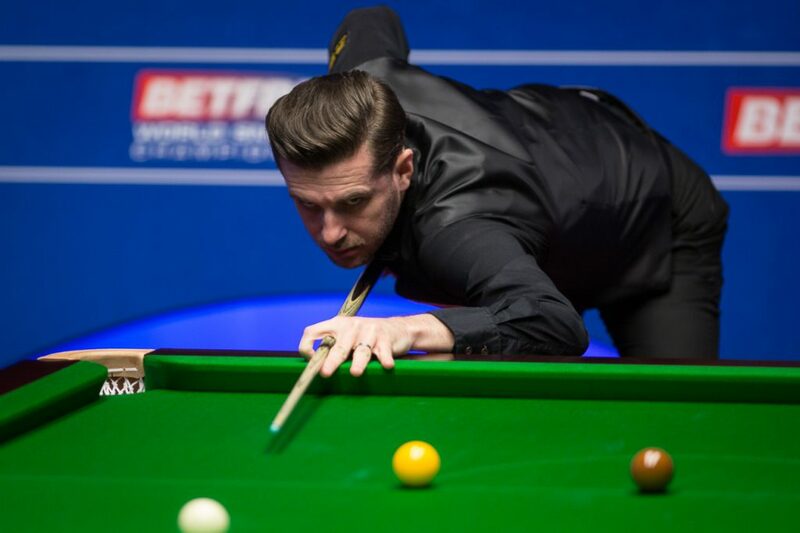 “Winning the three games at Ponds Forge gave me momentum and made me match sharp,” said Maguire, who reached the semi-finals here in 2007 and 2012. “I’m over the moon to have won here. I didn’t want my season to finish at the qualifiers. “I feel for Anthony. He didn’t play anywhere near the level that he can play but that is what the Crucible can do to you. You want the ground to open up for you and he got that today, but he will be here a lot more than I will. “I was sitting next to him and you don’t know whether to crack a joke or talk between frames. In the first couple we had a laugh and I thought it can’t go on like this. I had to be a bit nasty. “Judd still has to win his match, people seem to be taking that for granted. Rory is a hard match player. He has won his three to get here so every credit to him. He’ll be reading headlines and up for the game against Trump. Everyone has written him off but snooker doesn’t work like that and the table can do crazy things. But it’s between Judd and Selby for player of the season, they’ve been unbelievable. A dejected McGill, who has won two ranking events this season but lacked consistency, said: “I had the chance to go 2-1 up and I missed a few chances to win that frame. Fair play to Stephen I thought he played really strong especially after 2-2. “There were a lot of mistakes in the first four frames but after that he seemed to really turn it on and he deserved it. He looked sharp, a hell of a lot better than me. He gave me and absolute doing and it’s happened to the best of them. “You’ve just got to take it on the chin. Look at Steve Davis, he came here and lost 10-1 in 1982, so if it can happen to him it can happen to anyone.